Patrick Polak is co-founder and managing partner at Newion Investments. After completing his studies in Aerospace Engineering in Delft, he jointly founded an IT company. He sold his interest in this company at the end of 1996. 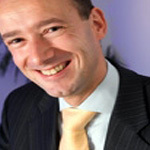 He started working at N.V. NOM in Groningen at the beginning of 1997 and was mainly responsible for investments in IT-related businesses. In addition to the IT investments, he has also financed various other types of companies. Patrick has also occupied positions on various non-executive boards. He is on the Board of Ides Technologies, Collibra, Mirror 42, Service 2Media, Servoy, LeanApps and Europe Unlimited. In the past he was a non-executive board member of IKS Producten, AllLocations, Amyyon, SLTN Group, Oxxio, IBT, Datell, E-semble, Propulsion, Sound Intelligence, Q-go, Eonic, and was involved in LightWeight Structures.